We came home today but just had time for a quick wander near our hotel before we returned. 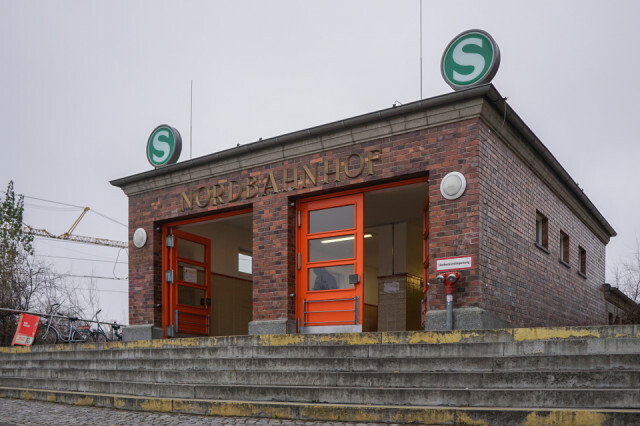 I had wanted to see Nordbahnhof Station because it was one of the ghost stations in East Berlin where trains could pass through but no-one could get on or off. There was a very interesting exhibition inside and I do like the frontage.